The international protection regime for refugees and other forced migrants seems increasingly at risk as measures designed to enhance security-of borders, of people, of institutions, and of national identity-encroach upon human rights. 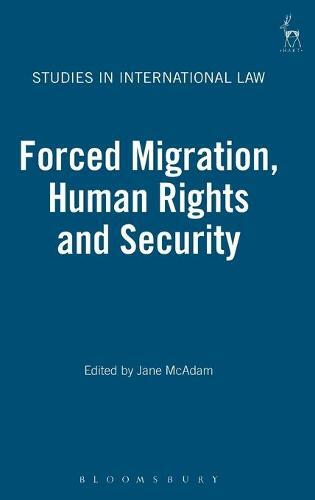 This timely edited collection responds to some of the contemporary challenges faced by the international protection regime, with a particular focus on the human rights of those displaced. The book begins by assessing the impact of anti-terrorism laws on refugee status, both at the international and domestic levels, before turning to examine the function of offshore immigration control mechanisms and extraterritorial processing on asylum seekers' access to territory and entitlements (both procedural and substantive). It considers the particular needs and rights of children as forced migrants, but also as children; the role of human rights law in protecting religious minorities in the context of debates about national identity; the approaches of refugee decision-makers in assessing the credibility of evidence; and the scope for an international judicial commission to provide consistent interpretative guidance on refugee law, so as to overcome (or at least diminish) the currently diverse and sometimes conflicting approaches of national courts. The last part of the book examines the status of people who benefit from 'complementary protection'-such as those who cannot be removed from a country because they face a risk of torture or cruel, inhuman or degrading treatment or punishment-and the scope for the broader concept of the 'responsibility to protect' to address gaps in the international protection regime.